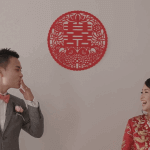 Contrary to the line from the classic Alanis Morisette song “Ironic”, rain on your wedding day isn’t the end of the world; especially not if you’ve got a few crafty screws in your noggin. 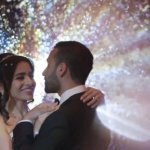 For us here at SDE Weddings, Toronto’s premier wedding videography, cinematography and photobooth service, a little precipitation won’t be enough to spoil our fun. 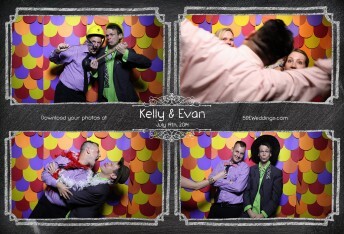 A sentiment shared rightfully-so by Kelly and Evan, whose wedding celebration on July 19th, 2014 we provided our photobooth service and expertise for. 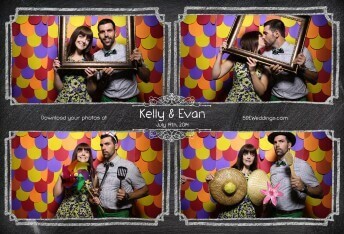 The event, set under a giant open-sided gazebo at Toronto’s historically famous Black Creek Pioneer Village, surprisingly suffered hardly any hiccups despite the foreboded forecasts and an overture overcast over our heads. 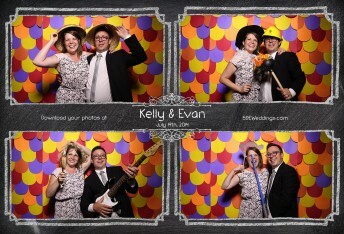 Evan, a science teacher by profession, decided on an interesting scheme for his wedding day decorations; an Erlenmeyer laboratory flask for the vase of flowers as the literal centrepiece of the venue, which, if you pardon the pun, got quite the ‘reaction’ from the crowd. 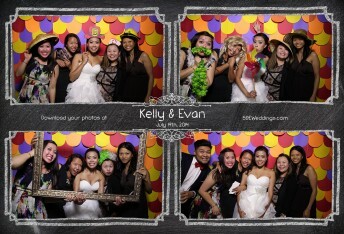 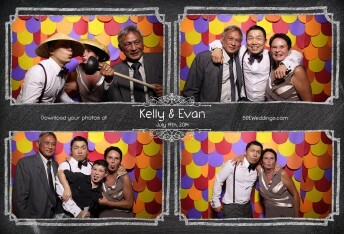 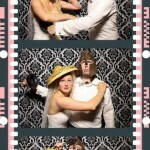 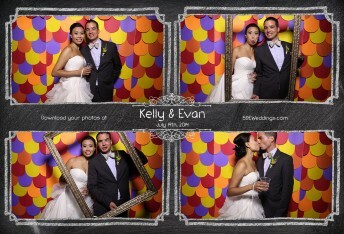 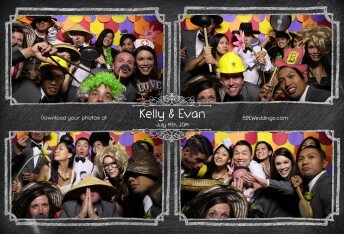 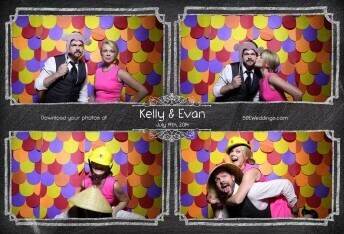 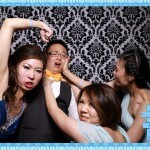 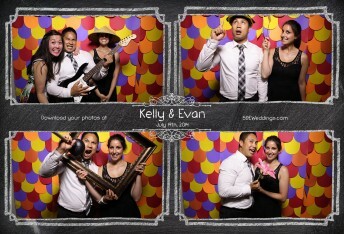 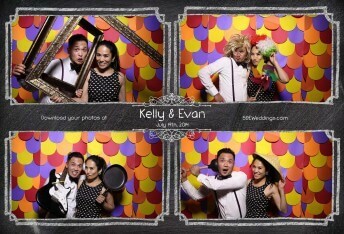 While photobooth services were handled by us at SDE Weddings, one of our close associates, Toronto-based photographer Jason Shum provided expert photography for Kelly and Evan’s special day. 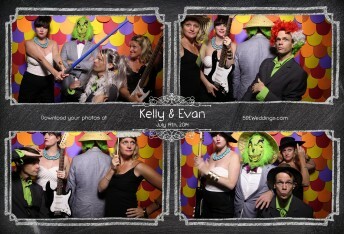 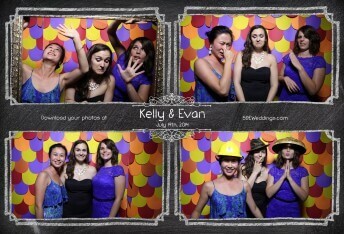 As you can see from the photobooth previews below, the rain did little if anything to dampen the mood of Kelly and Evan’s wedding guests, who’s eyes were hooked on the camera till well into the night. 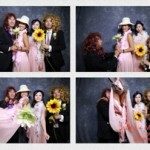 In the end, the real ‘irony’ is making the best of what nature gives you, regardless of what comes your way.